Elite, Petite, Tiny, Teacup Imperial Shih-Tzu! I specialize in raising Imperial size Shih-Tzu, 3 - 9 lbs. grown. 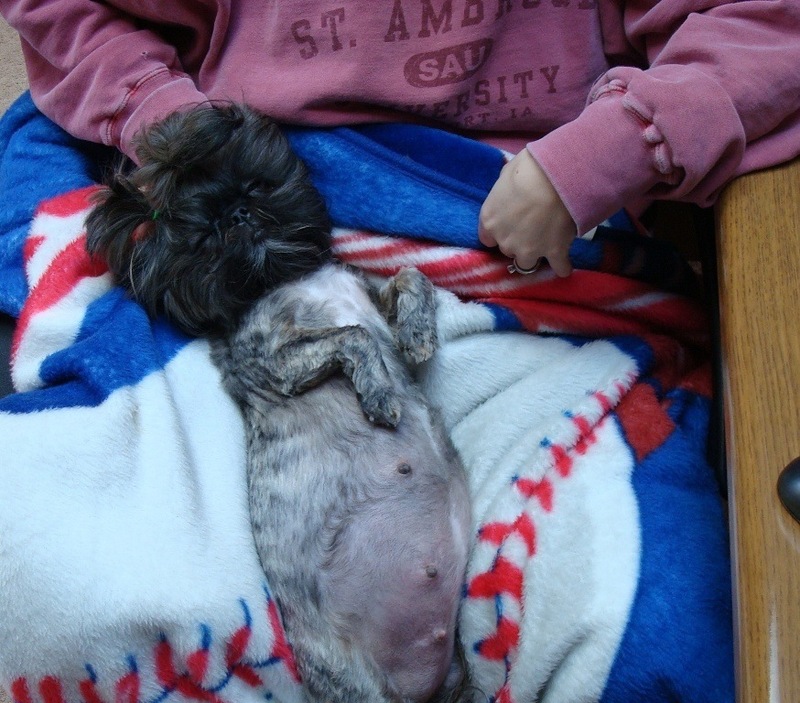 Over the years I have critiqued my Imperial Shih-Tzu to be extraordinary. 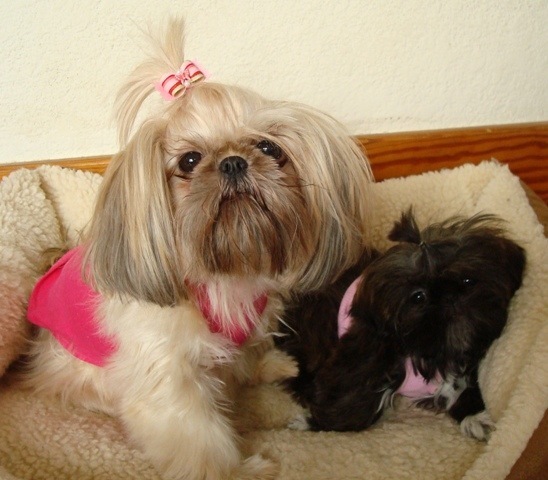 My Imperial Shih-Tzu, AKA Chinese Imperial Dog or teacup Shih-Tau are family members first and foremost, they are not here "just for breeding." 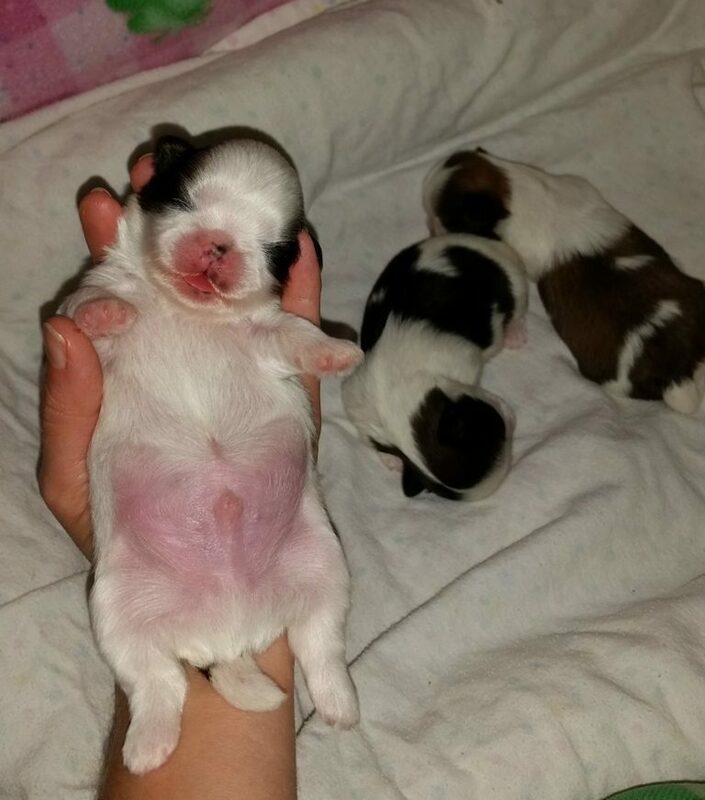 My main goal in raising this wonderful breed is to improve and produce healthy, stunning Shih-Tzu puppies in a tiny package with sweet loving dispositions. That's right, a TOTAL package of PURE BLISS that you simply cannot resist! I have hand selected a few of the very best Imperial Shih-Tzu to become a part of my family. My moms and dads come from tiny lines and most have some amazing well-known Champions in their pedigree. 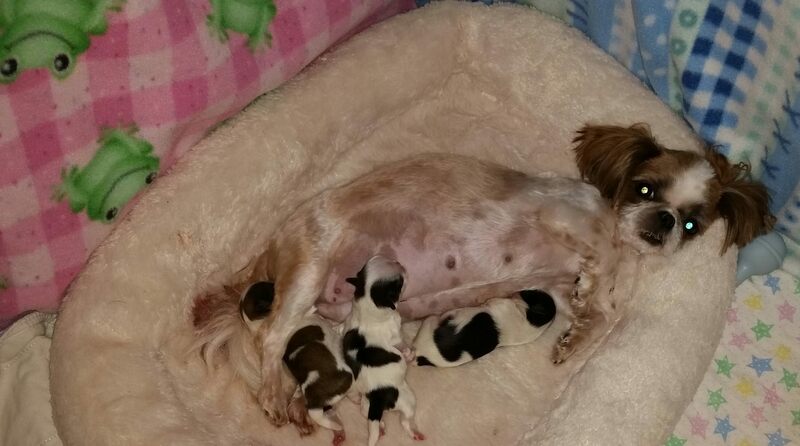 My Imperial Shih-Tzu puppies are whelped and raised in my bedroom for the first few weeks. I am always there to help my moms whelp by opening up the sack, cutting the umbilical cord, stimulating the puppy to breathe, drying and warming each puppy, and then getting them all to nurse for the first time. It is important to be here to comfort and support each mom and help her as each new little one arrives just in case anything goes wrong (and there are those times when things do go wrong). I begin socializing my Imperial Shih-Tzu puppies at birth by holding, kissing, snuggling, and playing with each puppy many times throughout the day. I can't think of anything I'd rather do than to snuggle and play with puppies! When they are about 5 weeks old, I move my mom and her puppies into our family room. My moms and puppies are kept safe and snug in their "nursery". I use the Iris x-pen and then very tightly wrap and safety pin blankets around the outside so the puppies can't get out. For the bottom I use Reusable waterproof pads and then a light layer of blankets. I change and wash all of the bedding at least 2 times a day, and then more as the puppies get older. 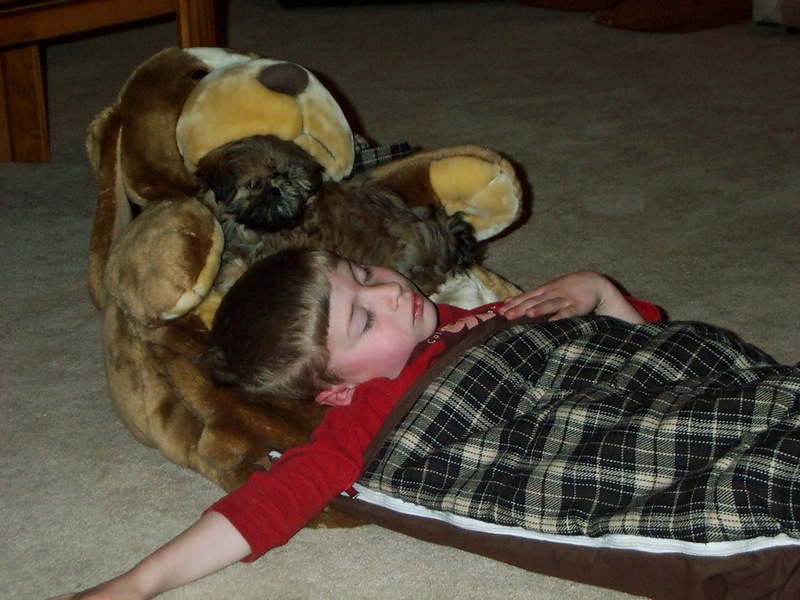 I begin potty training my Imperial Shih-Tzu puppies at 6 weeks old with the Reusable potty pads. My favorite place to shop for my fur-babies is online at Amazon! My Imperial Shih-Tzu are weighed daily for the first two weeks, then weekly from then on. I trim every puppy's nails, paw pads, and around the eyes every week. They all receive their first bath around 4 - 6 weeks old and as needed. They are used to being groomed and enjoy sweet massages and relaxation while being pampered. Tiny Tot Shih Tzu....nothing but pure cuteness! I begin introducing them to puppy mush around 4 - 5 weeks old by warming goat's milk and softening the hard food in the milk, mash it up with a little bit of canned food. They absolutely love it and it's top quality....my Shih-Tzu deserve only the best in life including what they eat! 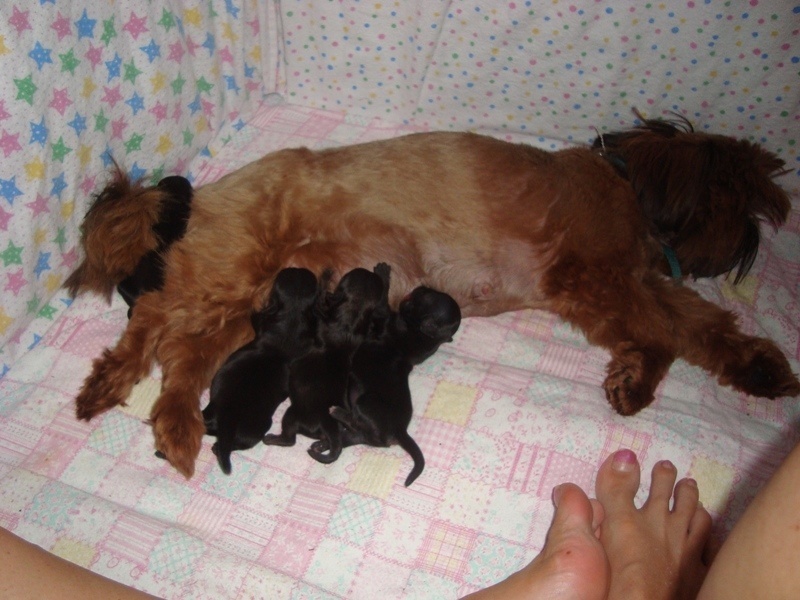 I never force wean my puppies, my moms wean them when they are ready. I will start to keep my moms out more when the puppies are 7 weeks old, but they are never fully taken away from them until they join their new families. Puppies learn a lot of their puppy manners from their mom and litter mates....and it makes training them so much easier! 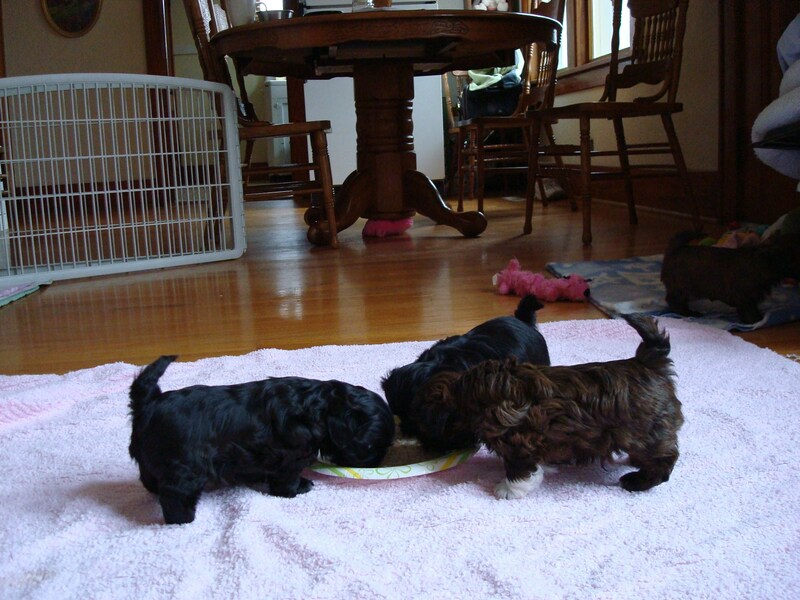 Most of my tiny teacup Imperial Shih-Tzu puppies are ready to join their new families when they are 9 - 12 weeks old. At 12 weeks, two sets of puppy shots are complete. All of the puppies love to cuddle and crawl all over my son and husband...sweet puppy kisses for everyone! They are used to daily household noises and are not shy, afraid, or timid because they are introduced to just about any and everything. They often go on trips in the motor home with us in the summer...there isn't too much they aren't used to before joining their new homes. Alex and Zoey....and oldie but too sweet! Copyright text 2016 by Tiny Tot Shih Tzu | Imperial Shih Tzu Puppies.